Newly erected statue over Earl Carroll's tomb (Forest Lawn), 1952. 4 images. Newly erected statue over Earl Carroll's tomb (Forest Lawn), 02 May 1952. 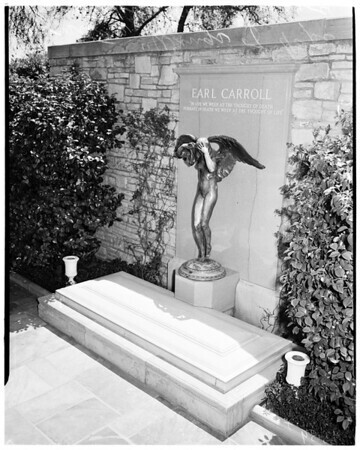 Earl Carroll's tomb with new statue "Wings of hope".